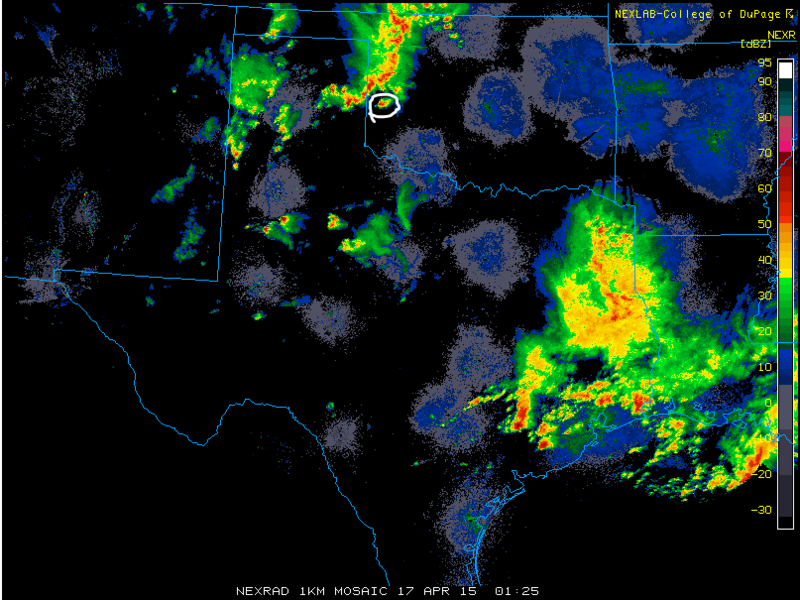 This fun Thursday afternoon featured a number of supercells in the Texas panhandle and western Oklahoma. 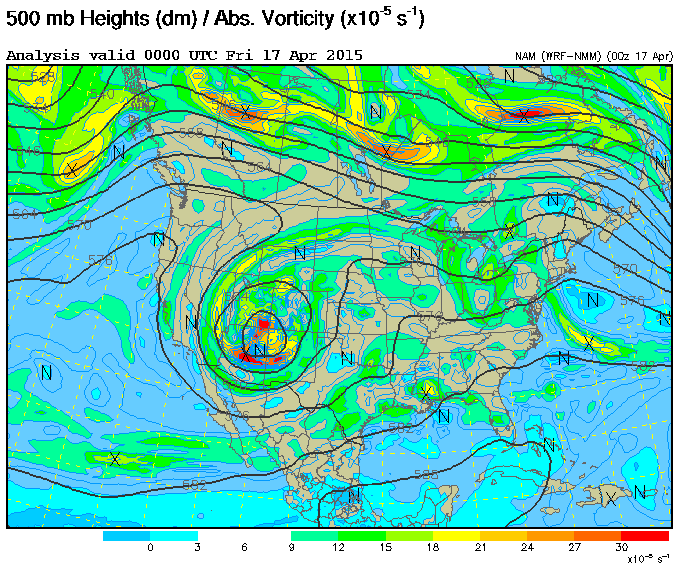 A cutoff low was sitting across the 4 corners region. 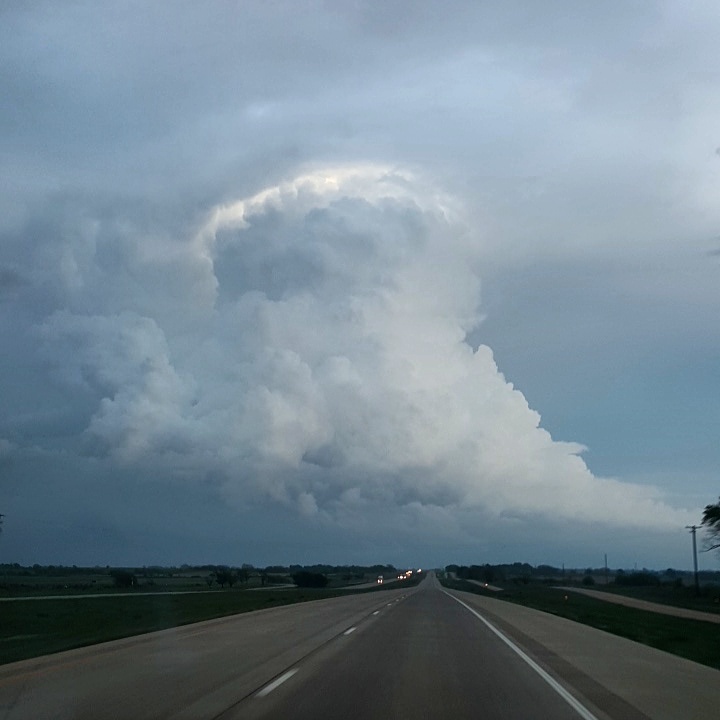 A belt of stronger flow and some embedded disturbances was aimed over the plains, providing the focus for severe thunderstorms. 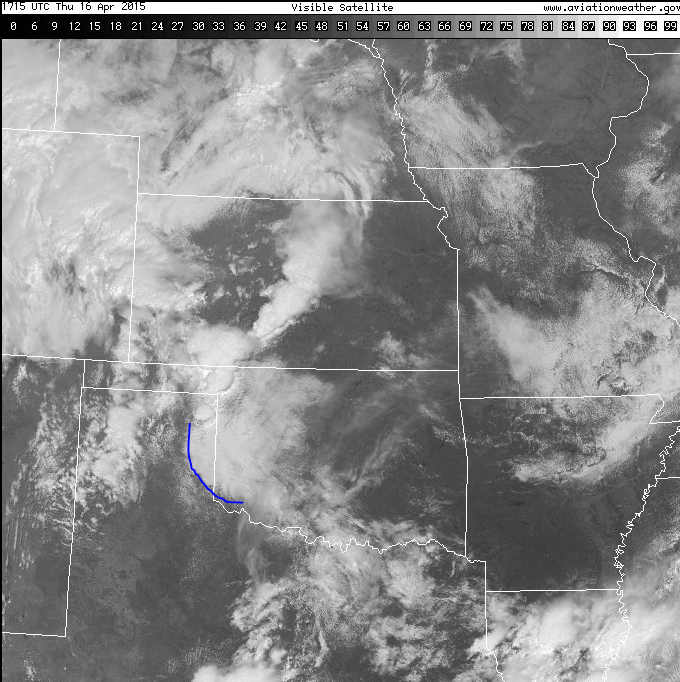 By early afternoon, a dryline was sitting along I27 in Texas. 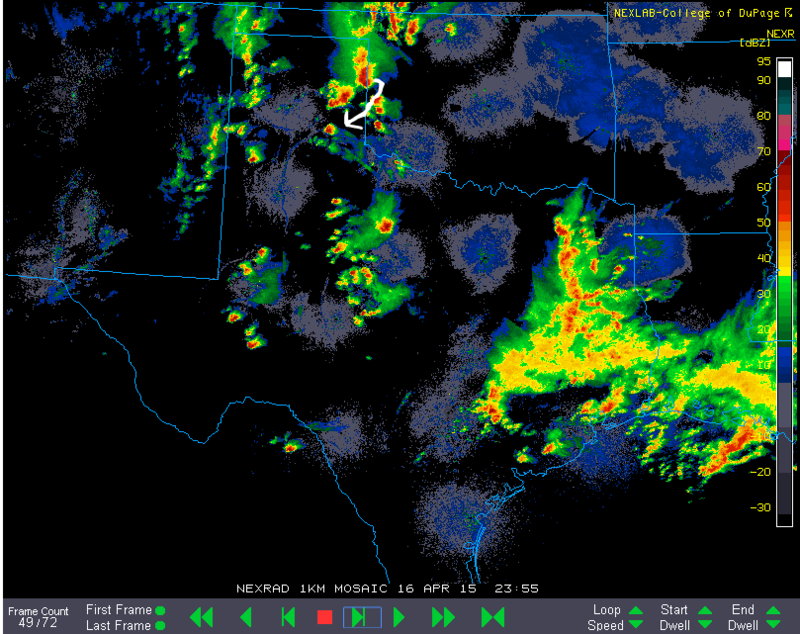 Some lingering showers were ongoing along the dryline, with a remnant outflow boundary/differential heating boundary evident across eastern Texas into Oklahoma. We played with a few storms initially, just waiting for one to take off and be really apparent. I captured a really nice Texas scene while waiting! 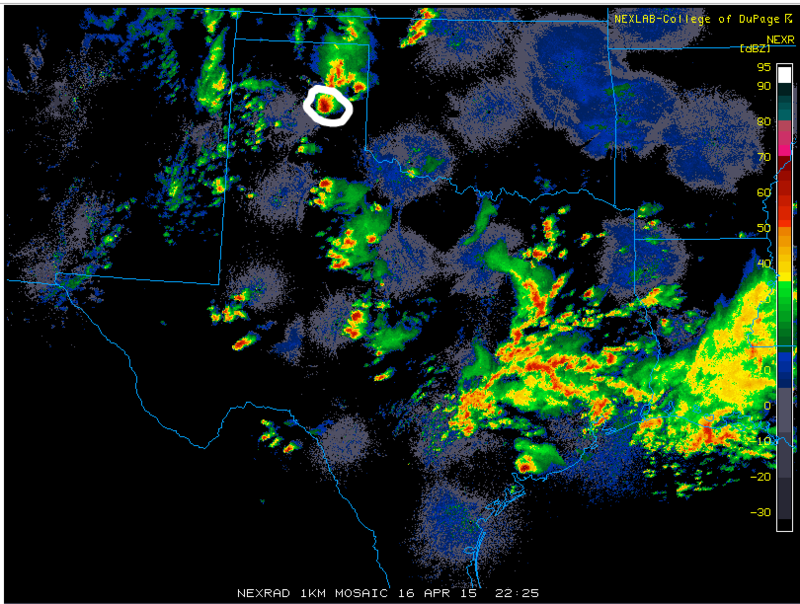 I initially targeted development northeast of Amarillo, TX near Pampa. This first storm went up so incredibly fast! It was surreal! I decided to wait just a bit and play further south, as I knew this was a day where “tail end charlie” (AKA the farthest south storm), was the one to be on! I followed this storm for hours, but it took a bit to get its act together. It was tornado warned for a very long time. 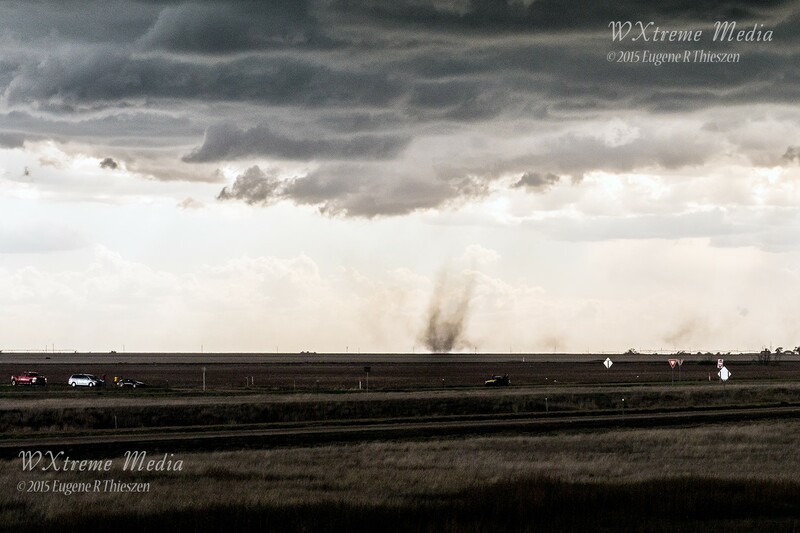 It produced a few dusty tornadoes early on, but once it finally became an HP monster, everything was buried in rain. Multiple times we heard the “roar” of a tornado, but couldn’t see it! 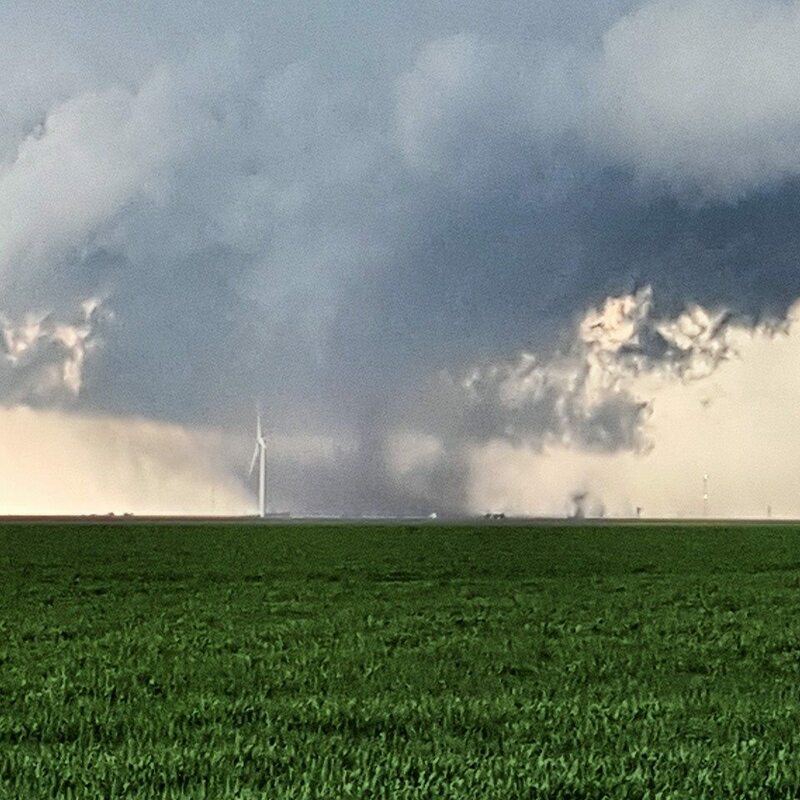 6:38PM West of Kellerville, TX.. Possible Tornado? 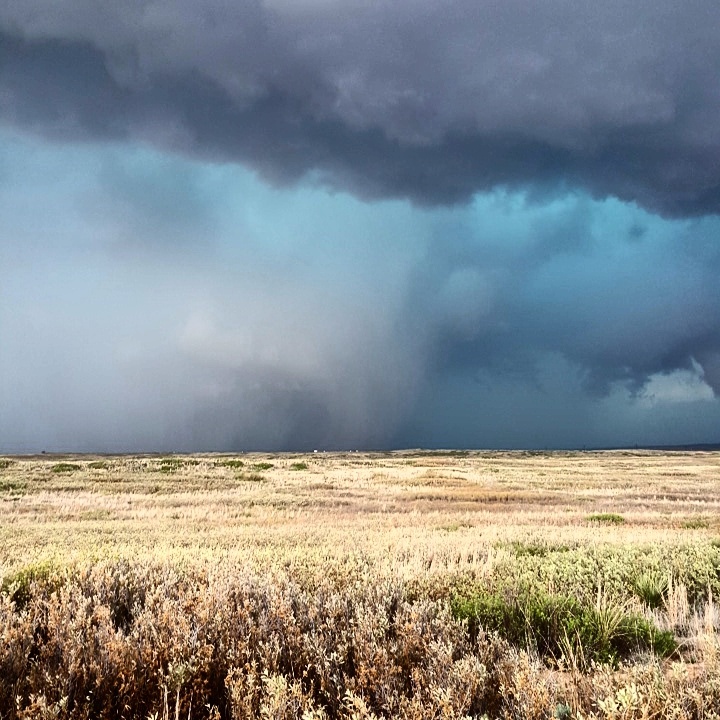 After following this storm for some time and seeing just how horribly HP it was, we decided to bail south toward some more discrete activity further south… Unfortunately, it didn’t take too long for this storm to split, go linear then quickly die… But, it was about to get interesting somewhere else!! After this storm turned to junk, we decided to get east on I40. A few storms were developing south and moving north. One in particular developed south of Sayre, OK and moved north. I had seen a few storms move up into this environment and spin up, possibly some influence from the boundary remaining from earlier, as well as strengthening low level shear. The updraft looked really great from the back (west) with a ton of lightning and vertical motion. It went tornado warned and we kept blasting east towards it. The rest is history.. Here is the video.. Feel free to share! 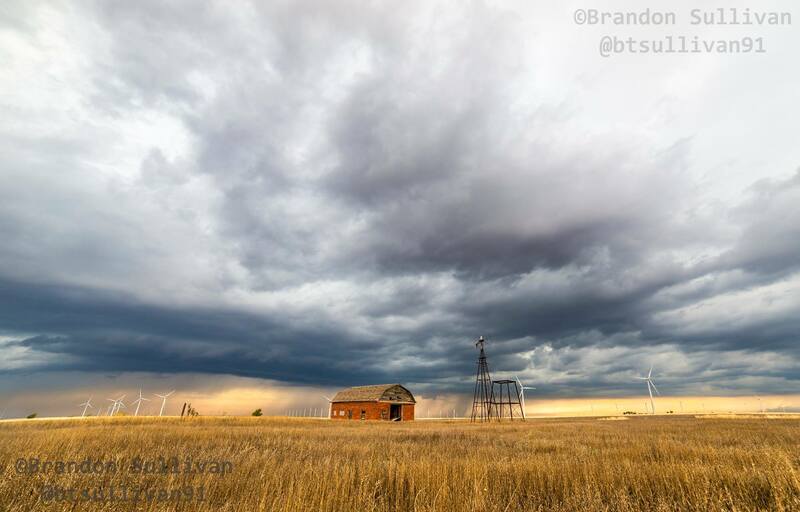 Overall, not a bad day at all.. A few definite tornadoes, some great landscapes, etc… Can’t complain!